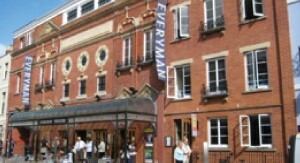 We are delighted to be working in partnership with Cheltenham’s Everyman Theatre. By supporting our local theatre, we are looking to provide opportunities for our residents to benefit from visits by performers and musicians, offer visits to special performances and provide benefits to our staff. We are also looking at working with an exciting new dementia project produced by the theatre which will tour to care homes in the county – watch this space!